Cal and Liam are back with their 26th offering and after wrapping up their second stint in Gotham City, the boys are looking to THE FUTURE! 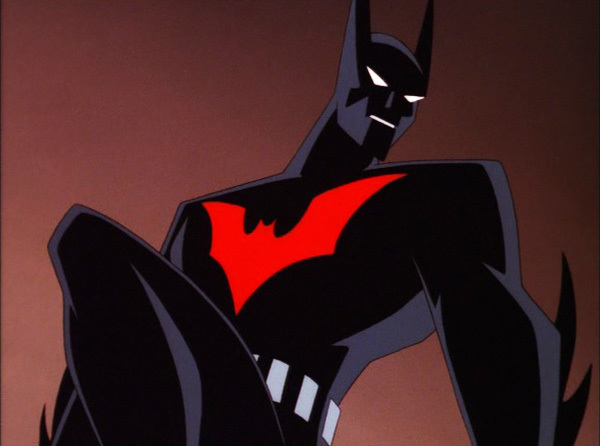 That’s right, the Good Brothers are taking their first look at the world of Batman Beyond as they review “Rebirth” Parts 1 & 2! Hear their thoughts on the design of the futuristic Gotham City (AKA Neo-Gotham), the characterization of Terry McGinnis and what sets him apart from Bruce Wayne, plus how the show walks the line between adhering to DCAU continuity while also completely standing out on its own! All this, plus their thoughts on the a brand new style of DCAU music and of course, their regular score cards on this week’s episode of the DCAU Review! After a landmark 22nd episode, Cal & Liam follow-up with a review of the two-part episode “Cat And The Claw. Parts 1 & 2.” This week the good brothers discuss the introduction of the Catwoman character to the DCAU, a significant amount of plot holes, the “generically European” terrorist known as Red Claw, and the biodegradable Bat-Glider. All of this, plus Liam’s #CapeMovement Corner, a shout out to Pogs and a full scorecard await you on the 23rd episode of the DCAU Review!